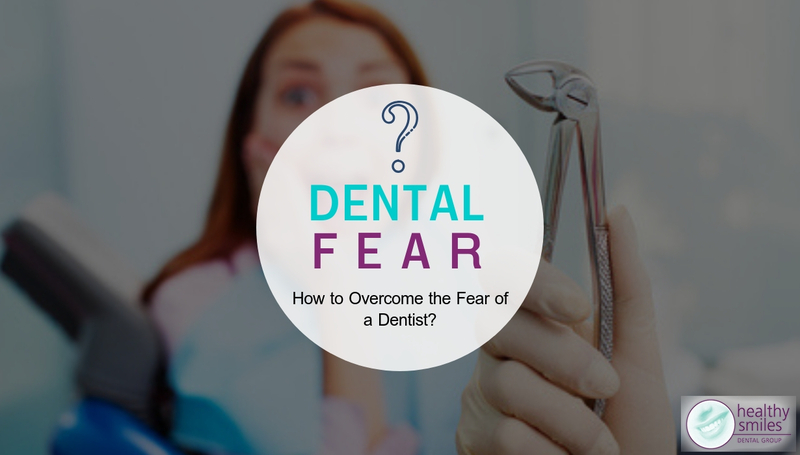 Most patients avoid seeing the dentist because of fear or anxiety from bad experiences in their past. In our experience, patients travel long distances to come and see us for sleep dentistry. In an additional consultation, we talk to our patients about why they have chosen us for their treatment when there are so many other dentists that provide dental treatment. How to Get Rid of Dental Anxiety? The most important part of trying to overcome your fear is by talking about it. At Healthy Smiles, all of our dentists are specially trained to listen to our patients and to understand their real anxiety and fear. For some patients, this maybe a bad experience like pulling a tooth out when they were young or for some it might be the fear of a needle and some for it could be the fear of the unknown. The single most factor we’ve found to help patients start their treatment and overcome this fear has been to develop trust with their dentist and their oral healthcare team. Here, we strive to do this on an everyday basis. We make sure that the patient feels comfortable from the moment they ring us to when they come into the office and meet our friendly staff to the point, they walk into the consultation room and talk to us about all their inner fears that have kept them away from dental treatment. After a comprehensive evaluation and going through some scans with minimally invasive procedures, the patients develop some sort of bond and trust with us which helps them go away with a lot of faith that they can come back at any time and get their treatment started. The only purpose of this first consultation for us is for the patients to understand where they are with their problems, what the diagnosis of those problems are and what will happen if they leave them as is for year, five years, ten years and also what the options for them are going forward. Even if the patient chooses not to continue with us for the long term or leave their teeth as is from this point, we make sure that we support our patients in every decision they make. We completely understand that the patients choose to avoid visiting the dentist because of a fear and that they can suffer from extreme anxiety which may even need medication. The other thing we find with our patients is to ask them to bring in a family member or a close friend for moral support during a consultation. We have no time restrictions for our consultation with such patients. As a matter of fact, we allow over an hour to sit down and talk with our patients about their fears and help them overcome it by establishing a rapport with us. We believe that our patient’s decisions should be well thought through and that the informed consent process is critical to our treatment planning. Following that, we give our patients a lot of information on the different forms of sleep dentistry that are available at healthy smiles along with their costs and the treatments that can be performed under all those options. How to Deal with Dental Phobia? We give the information sheets on the type of procedures that they can choose from and that helps them take all of this knowledge home, think and talk to people about it and then come back for a second consultation to formulate a treatment plan based on their decision and advanced diagnostic information that we may need. This step-by-step process of talking to our patients and going through all the information before they make decision helps them understand that our role as dentists is not to tell them what to do, but to inform them of their choices. We believe that our patients should have all possible options, including short term patch-ups and long-term solutions and the consequences of both these options. We believe that we should support the decisions made by our patients. Another way we’ve found to help our patients get dental treatment, is to start with small procedures such as initial gum treatment as well as small X-rays with the help of Laughing gas. This form of sedation or anti-anxiety dentistry is relatively cheaper when compare to intravenous or general sedation. Initially, the dentist may need multiple appointments to restore the health of patient’s mouth, and by using Penthrox or Nitrous Oxide over these multiple appointments can help patients relax and obtain confidence before taking on major dental treatment later on. At Healthy Smiles Dental Group, we also offer a free consultation for our patients so that they can talk to us about their dental problems. For more details about dental payment plans, please feel free to ring us on 98772035 or visit us online. We would love to see you.